"Draw Bridge, Oakland Beach, R.I." by David H Berry, Oakland Beach, R.I. Draw Bridge, Oakland Beach, R.I.
David H Berry, Oakland Beach, R.I.
Used; Postmark: August [x], [x]. 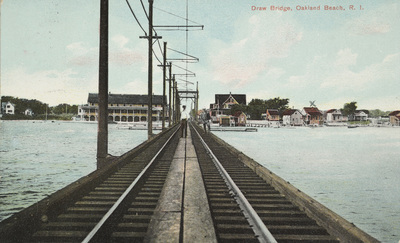 David H Berry, Oakland Beach, R.I., "Draw Bridge, Oakland Beach, R.I." (1915). Rhode Island Postcards. 235.